ICD User Group: Medtronic offers sneak peek of leadless pacemaker. We had heard of Medtronic’s plans to develop a leadless pacemaker, but the company had been tight-lipped about it until yesterday, when Dr. Stephen Oesterle, Senior VP for Medicine and Technology, revealed the minuscule device during a talk at TEDMED 2010 in San Diego. 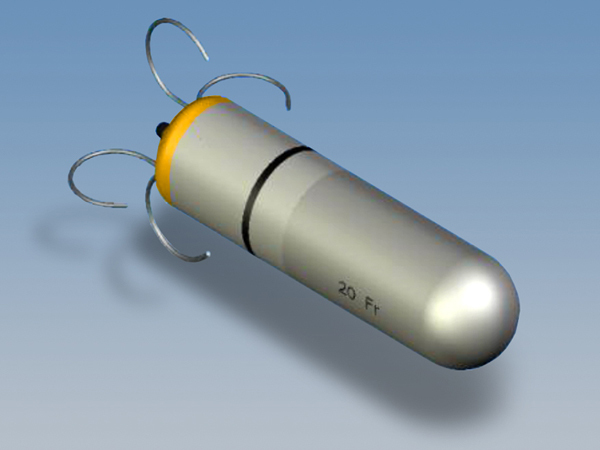 The idea of a totally self-contained intracardiac pacemaker is not new. It was first published in the Journal of Electrocardiology in 1970. But it's become recently viable due to advances in battery technology and circuit miniaturization. The tiny device, shown here by Dr. Oesterle, is delivered directly into the patient’s right ventricle through a catheter. It’s a less invasive system. No surgery is required, thus carrying a lower risk of infection. Fewer acute and chronic complications (such as infection and skin erosion). Better patient aesthetics, since no surgical pocket is needed for the generator. Lower cost and reduced length of hospital stay. And best of all, there are no leads to fail. Leads are—arguably—the weakest link in a permanent pacing system. Larger diameter catheters are needed for implantation (increased risk). Multiple-chamber pacing is more complex. It's difficult to be explanted or repositioned. Another potentially serious adverse event is the possibility of device dislodgement and its escape into the circulatory system. Now here comes the even better part of the story. The device will be capable of communicating wirelessly with a nearby smartphone. This signals the direction we’re heading regarding connectivity where data can be gathered by the device and be communicated to a smartphone for either the patient or the physician to act upon as needed. It might still be three to five years before the leadless pacemaker hits the U.S. market, assuming it gets FDA approval and achieves market accceptance. But it represents, in my view, a significant step in the right direction. One thing is for sure: it looks like Medtronic might be listening when we ask for real-time access to the data in our implantable devices. One of the most important parts of the heart is the pacemaker. When the natural (or original) pacemaker starts functioning with a lesser efficiency compared to the recommended one, the use of artificial pacemakers is suggested. Surgery is needed to implant an artificial pacemaker inside the body. The artificial pacemaker (or simply ‘pacemaker’) is a device which functions on electrical impulses which are delivered by electrodes in contact with the heart muscles, thus helping in the regulation of the heart’s beating. So, the most important function of the pacemaker is maintaining the heart rate within specified safe limits. This is required when the natural pacemaker is not functioning with sufficient speed. It may also be needed in case there is some kind of a block (obstruction) in the electrical conducting system of the patient’s heart. Artificial pacemakers come in the following types --- Rate-responsive pacemaker, Single chamber pacemaker and Dual (or double) chamber pacemaker. 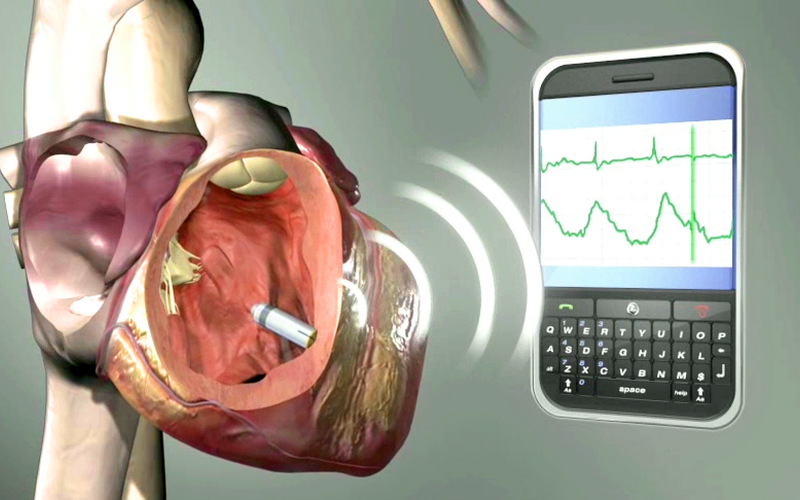 Some pacemakers are implantable. These are required for permanent pacing of the heart. Surgical operation is carried out for doing this and pacing electrodes are placed in the heart’s chambers. This type of pacemaker has in-built electronic circuitry, which detects the change in the pace of heart and adjusts it automatically to bring it within the recommended limit. This function is done by an important part of the pacemaker called as the pacemaker generator. For getting best results from the artificial pacemaker, it is suggested that the battery of the pacemaker be replaced at regular intervals of time. It is extremely important to check the pacemaker regularly from a practicing physician. The use of a pacemaker has helped a lot of people so far. The best part of it is that it does change the person’s lifestyle to much of an extent. Only the use of devices or gadgets generating magnetic fields is not allowed. One little detail: Batterys are not replaced. They say it is unhygienic. They (the Doctors) prefer you to replace the entire unit for another 25,000 to 50,000 dollars. Leads are not interchangeable between different brands, so you are tied to the original manufacturer.